WHO: Processed meats and even red meat may give you Cancer. What do we eat then? We often get headlines telling us that the meal you just consumed is full of things that might make you ill in the long run. Chocolate, wine, rice, potatoes, alcohol – it could be anything these days. News came out yesterday saying that people should stop eating processed meats and red meat as these were recently included in the ever growing list of carcinogens compiled by experts since the 1970s. That includes beef, bacon, canned meat, sausages – a lot of things that people usually buy in supermarkets and consume on a daily basis. To be clear, the World Health Organisation (WHO) did not explicitly say that processed meats and red meat will give you Cancer. What they said is that processed meats are a carcinogen which will elevate your risk in getting Cancer and red meat is a probable carcinogen. Yeah, yeah. We’re still alarmed, though! It would be unfair to lump red meat along with cigarettes, UV rays, alcohol, asbestos, and arsenic which actually and definitely causes Cancer. However, red meat is actually in the same category as anabolic steroids and non-arsenical insecticides which may probably cause the disease. We’re looking at colorectal (bowel) cancer. Understandably, the meat industry (particularly in the US) is making a move against the research saying that there are “numerous studies showing no correlation between meat and Cancer”. However, the WHO’s research cannot be taken lightly due to its nature. It is made up of combined studies from numerous experts. But let’s answer the million dollar question: Can we still eat red meat? Yes, you can. Red meat remains to be a good source of protein but always make sure to eat in smaller portions. The US Department of Health says people who eat more than 90 grams of red meat a day should cut it down to 70 grams. The WHO says 50 grams of processed meat a day can increase your risk of Cancer by 18%. It’s relatively low, if you ask most people. The UK Cancer Institute has released data to stop the panic. In context, only 21% of bowel cancers are caused by red meat while 86% of lung cancers are caused by cigarettes. 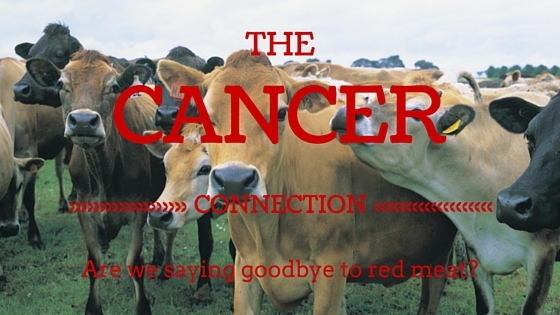 This means, 19% of all cancers are caused by tobacco while on 3% are correlated to red meat. Should we quit red meat and processed meat? This study is not in any way made to alarm people and to turn them against what they’re used to eating. It’s a call for healthy eating and learning how to portion. The WHO still recognises that red meat does give you benefits too but don’t forget your veggies and fruits! While people who eat more vegetable and fruits have lower risk of cancer, some of them still get the disease. So at the end of the day, it’s all about balance. Try to opt for organic instead of processed meat. Don’t forget to load up on fibre and drink a lot of water. The gist of it: Love your colon!